The collection covers all aspects with the earliest known letters from Bermuda, Postmasters stamps (Perot), all aspects of postal history with pre stamp, stampless and stamped covers, including the famous Moncrieff surcharge cover. Routings, rates are all covered. 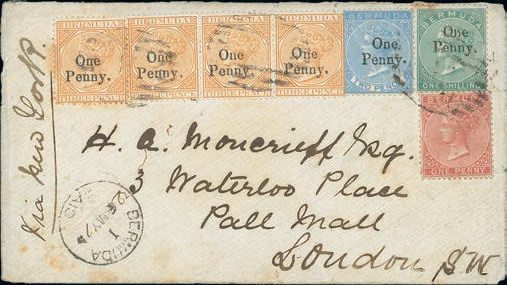 Above: The Famous Moncrieff Cover – the only known cover bearing all three values of the 1875 One Penny Provisional issue. 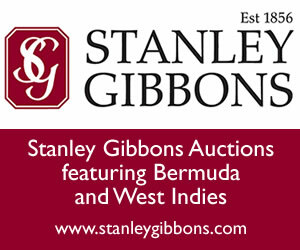 The definitive study of Bermuda Postal History with 200 plus lots.